Members of the CSUN community gathered in front of the Oviatt Library Monday to honor the 11 lives lost at the Tree of Life Synagogue mass shooting in Pittsburgh, Pennsylvania on Saturday. The vigil was organized by the Jewish student groups Chabad at CSUN and Hillel 818. 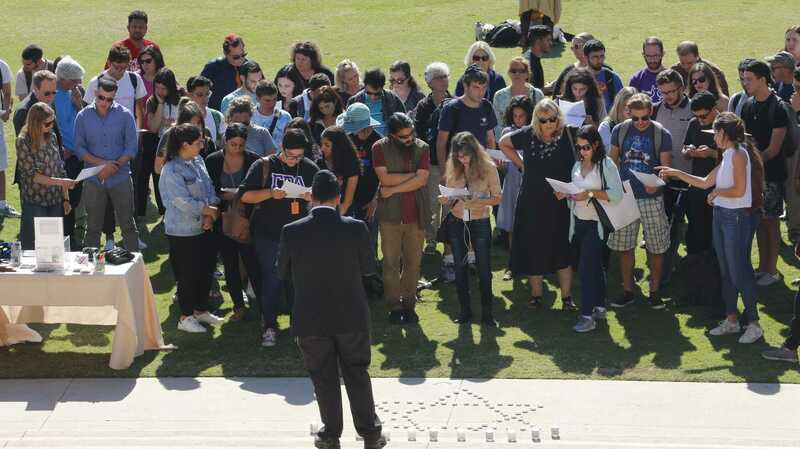 Attendants gathered on the Oviatt lawn with white candles arranged in the shape of a Star of David that were placed nearby. On Saturday, 46-year-old Robert Bowers opened fire on the Pittsburgh synagogue, killing 11 people and injuring six. The shooting is being called the deadliest attack on the Jewish community in American history. David Katz, who is the Executive Director of Hillel 818, spent a decade working with the Jewish community in Pittsburgh and personally knew several of the victims. He said that the attack on the Tree of Life Congregation was especially heinous because the synagogue is considered the heart of the Jewish community of Pittsburgh. 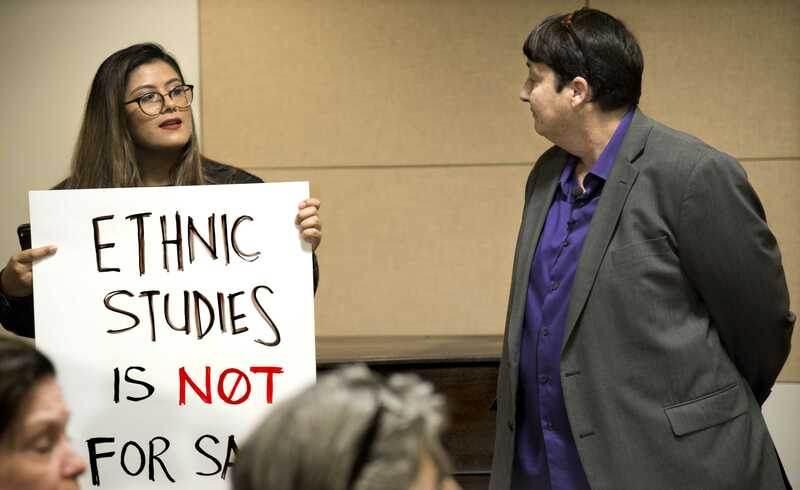 Dr. William Watkins, Vice President for Student Affairs, expressed the university’s commitment to stand in solidarity with the campus’s Jewish community in the wake of Saturday’s massacre. Raphael Diamond, a business management major and member of CSUN’s Jewish community, still believes in this sense of connection despite the shooting. Attendants of the gathering were invited to honor the memory of those killed by pledging to do a good deed, or an act of kindness and charity, known as a mitzvah.